How to properly control frequency of crusher wear part replacement ? NewsHome > News > How to properly control frequency of crusher wear part replacement ? Crusher wear parts plays important role in stone crushing plant, if crusher wearing parts are frequently replaced , it not only has expensive spare parts cost ,but also greatly reduces stone crusher crushing capacity. Generally speaking , Crusher wear parts mainly refer to jaw plate, blow bar, mantle concave, liner plate and hammer , they are the necessary parts for jaw crusher, cone crusher, impact crusher and hammer crusher. How to properly control frequency of crusher wear part replacement ? Great Wall Company stone crusher experts summarize the feasible solution for quarry plant and aggregate crushing plant. Firstly, stone crusher manufacturer adopts the advanced processing technology and strict test control system. on the secondly we should find higher abrasion materials for crusher wear parts. Thirdly do some innovative and reasonable design for stone crushers to reduce abrasion. As what mentioned above, we can prolong stone crusher service life and reduce crusher wear parts cost. Previous: What are casting process of small jaw crusher parts and installation tips ? 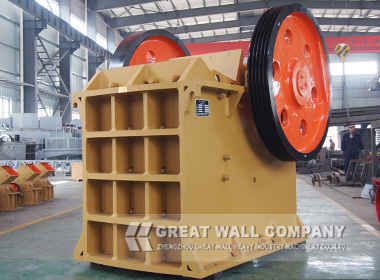 Next: How to buy Jaw crusher and impact crusher for 150TPH pebble crushing plant?